It’s Thanksgiving month and during this season it’s so EASY for us to be grateful for things, large and small in life, compared to the other months of the year. The world is bursting with color and it makes my heart so happy. If I’m having an off day, all I need to do is look outside and see a squirrel going bonkers in the leaf pile outside trying to gather up nuts for the long winter ahead. I mean seriously, how can you not smile at a squirrel going bonkers, even when life is ridiculously insane? He’s like the mascot for insanity, somehow representing how I feel on the inside. When Life Is Insane, Be Thankful, Then Eat Chocolate! I don’t know what life is like in your home, but here it’s always busy and I do my best to stay on top of the laundry pile so we have clean undies to go out in the world and love on the people Jesus has placed in our life. Some days are long and disappointing and all I want to do when I get home is curl up on the couch and escape to Stars Hollow (Gilmore Girls forever!) for a few hours with a chocolate bar in hand. Other days are so insane that even Stars Hollow, my buds Lorelai and Rory, and a chocolate bar the size of Manhattan won’t cut it…those are the days when I realize I truly need to get a grip and latch on to a heavenly perspective. 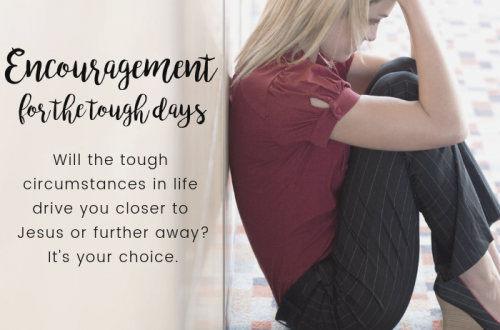 Shouldn’t Everyday Require A Little Heavenly Perspective? Honestly, my waistline would be so much happier if I could turn to my Bible first when faced with all the insanity of life. Instead of curling up on the couch and becoming a hermit with a chocolate bar, I’d gain a heavenly perspective instead of the token pound or two, know what I’m saying? Going to Jesus first in prayer, seeking wisdom before we choose to drown our sorrows in our projects, crafts, TV shows and food loves seems like a smart move, doesn’t it? 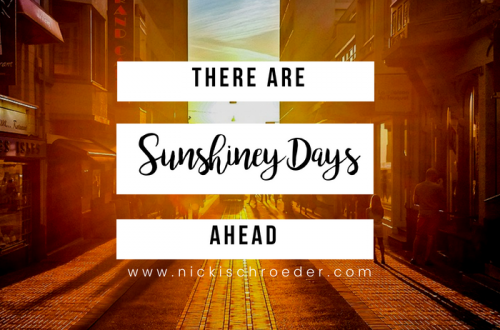 Where do you run when life is crazy or when your perspective is negative and you need a little pick me up? Do you run to Jesus FIRST to fill you up? 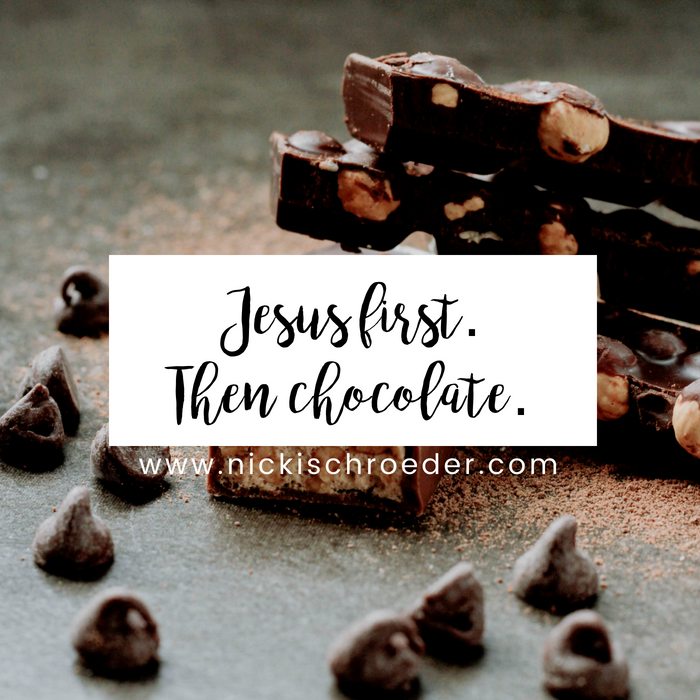 Run To Jesus First, Then Grab The Chocolate! I’m trying to learn to run to Jesus first, before the chocolate. I mean, come on, chocolate is still a necessity. But I have to get my ducks in a row first, so I can be grateful for that little square of heaven, instead of using it to fill a void on the inside that is made only for our King. What are you using to fill the void that’s only designed for Jesus? 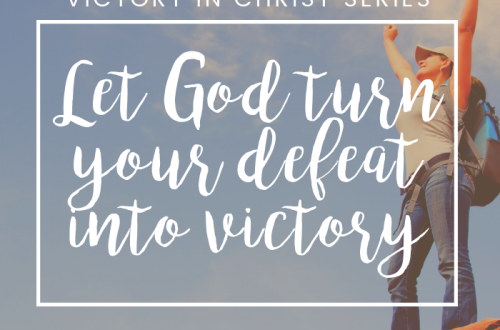 Let God Turn Your Defeat Into Victory! Such a great devotional for my pondering. Thank you!